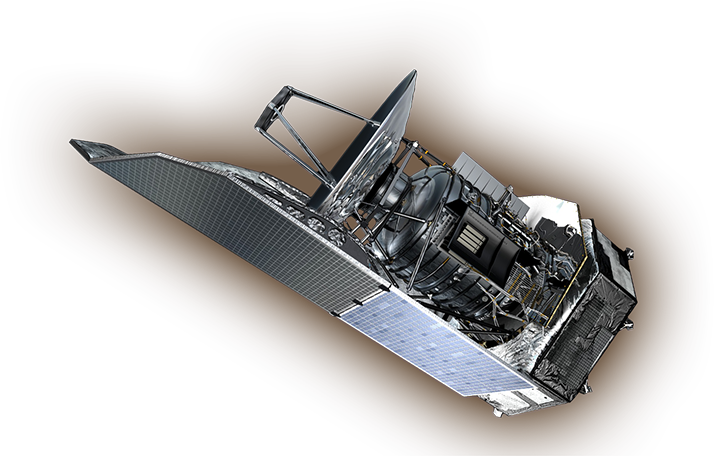 The Herschel Space Observatory's mission was designed to unveil a face of the early Universe that was previously hidden. Thanks to its ability to detect radiation at far infrared and sub-millimetre wavelengths, Herschel was able to observe dust obscured and cold objects that are invisible to other telescopes. Herschel's major objective was discovering how the first galaxies formed and how they evolved to give rise to present day galaxies like our own. Additional targets for Herschel included clouds of gas and dust where new stars are being born, disks out of which planets may form and cometary atmospheres packed with complex organic molecules. Herschel was the fourth Cornerstone mission in the European Space Agency's Horizon 2000 program. Ten countries, including the United States, participated in its design and implementation. Herschel was launched in May 2009, with an expected to lifetime of at least three years. The end of the cryogenic phase of the Herschel mission was declared on 29 April 2013 at 15:20:01 (UTC). At this time, an increase in the temperature of the Herschel Space Observatory was confirmed by the sensors on-board the spacecraft, indicating the exhaustion of the liquid Helium in the cryostat. On 2013 June 18 the Herschel spacecraft was turned off for the last time, ending the operational phase of the mission.